View a PDF of this page. Annual Fund gifts help to provide essentials like academic programs, financial aid, equipment, software and library resources. They help keep the campus secure and clean, keep lights bright in classrooms and labs, and equip varsity sports teams. Albright Fund for Presidential Initiatives – To support initiatives deemed important by President Jacque Fetrow ’82. Albright Fund for Equity and Full Participation – To promote an environment in which all groups thrive and assist in eliminating disparities of opportunity, resources and outcomes for historically underrepresented populations in ways that are consistent with Albright’s commitment to full participation. Albright Fund for Wellness – To encourage a healthier and more productive life for students, staff and faculty, Albright is committed to promoting all aspects of wellness, including spiritual, emotional, intellectual, physical, social and environmental. Albright Fund for Academic Excellence and Innovation By integrating innovative curricula in a supportive learning environment, Albright prepares students to be not only successful problem solvers, effective communicators, and cooperative team members, but also ethical leaders who will make a difference in the world and people’s lives. These funds will support travel and resources for faculty to learn new teaching styles, develop new courses, engage students in scholarly and creative work and more. Albright Fund for Classroom Innovation and Technology – Many current classrooms are designed in the old lecture-style model. These funds will enhance the learning experience by providing more flexibility through an active-learning environment that comprises new furniture, replacement of carpet, paint, window treatments and lighting. Albright Fund for the Arts and Humanities – Studies in art, music, theatre, literature, history, foreign languages, philosophy and religion give students strong transferable skills that can be used for most careers. Through these courses, Albrightians build solid analytic, critical thinking, communication, problem solving, research and writing skills that serve them well during their time in the classroom and beyond. Albright Fund for the Sciences – Laboratory-oriented courses in areas such as biology, chemistry, environmental science and physics explore the interdisciplinary nature of a liberal arts education and allow students to address a wide range of contemporary issuesbeyond the sciences. Albright Fund for the Social Sciences – Albright’s focus on the social sciences (anthropology, economics, education, political science, psychology or sociology) gives students the opportunity to analyze and explore some of the most challenging issues of our time. These courses of study combine service learning and field experience with traditional classroom instruction to provide well-balanced academic programs. Albright Fund for the Library – A college library provides the foundation for research and study for all disciplines taught at the college. Contributions to the library, which support a variety of collections, services and research support, foster academic excellence and intellectual discovery within our liberal arts community. Albright Fund for the School of Professional Studies (SPS) – Gifts to SPS help post-traditional students plan their future today and give them a supportive environment in which they can return to school, establish new connections, acquire new skills and start new career paths. 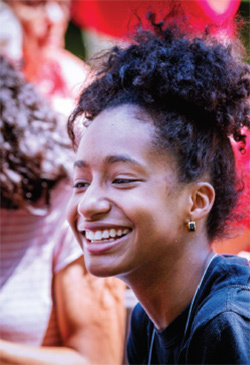 Albright Fund for Experiential Learning – To support a hands-on approach to education that is personally relevant and connected to students’ academic learning objectives through internships, study abroad, service learning and undergraduate research. Albright Fund for Academic Success – To provide Albright students with opportunities to enhance their academic careers through peer tutoring, academic skills workshops and academic coaching, which offer students avenues to succeed at a higher level in their Albright coursework. Albright Fund for the Center for the Arts (CFA) – Activities in the CFA foster on-going dialogue about the arts relevant to the intellectual, cultural and personal lives of our students. Gifts will support the operations of Albright’s unique interdisciplinary environment of classrooms, studios, galleries and performing spaces. Albright Fund for the Freedman Gallery – Hosting approximately 10 exhibitions each year with shows rotating in the main gallery and project space, the gallery focuses on contemporary, living, American artists. Support will help employ students as gallery attendants and implement programs from exhibition research and installation to weekly experimental art labs and summer camps for children. Albright Fund for Domino Players – The Domino Players, the college’s resident theatre company, is comprised of both students and faculty. Contributions to this group will allow the Players to engage in some of the most stylistic, cutting-edge, avant-garde performances ever created for both contemporary and traditional theatre. Lion Pride Athletic Fund – Approximately one-third of undergraduates participate in Albright’s 24 intercollegiate athletics programs, for which the overall quality of the educational experience and the successful completion of all students’ academic programs are priorities. This Fund supports athletics and our student-athletes by providing resources to enhance athletic facilities, purchase specialized equipment for teams, provide educational programming for student-athletes and fund special travel for individual teams. Albright Fund for Scholarships & Financial Aid – Albright has a longstanding commitment to educating students of academic promise. These funds will enable Albright to make a college education a reality for those students who face financial hurdles or who would most benefit from our programs. Albright Fund for Digital Infrastructure – To support continual improvements and enhancements of Albright’s technology infrastructure, learning focused technologies, information security and data stewardship, data reporting/analytics capabilities, technology training and support services. Albright Fund for Residential & Campus Life – To maintain a safe, supportive and inclusive community that fosters the success and personal growth of each resident. 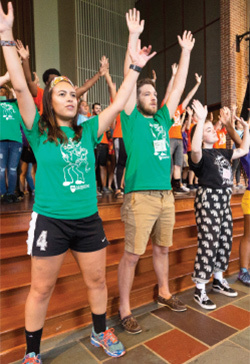 We encourage students to take advantage of a variety of residential and dining choices and participate in activities and programs during their time on campus. Albright Fund for Student Government & Organizations The Student Government Association (SGA) promotes student involvement in campus life, is the advocate for the student body, serves as a liaison between students and college administration and represents Albright students with the Board of Trustees. Albright Fund for Campus Revitalization – A resolution was adopted by the Board of Trustees on Jan. 30, 2010, recognizing that the college’s physical plant is one of its most significant assets. Gifts for campus revitalization support simple capital improvement and beautification projects to maintain a positive Albright environment. Albright Fund for Promoting a Distinctive Albright – To enhance Albright’s visibility, strengthen relationships with college constituencies, build the college’s image and further advance the institution through marketing, advertising, public relations, media relations, publications, web and photography.